In the context of a type I seesaw scenario which leads to get light left-handed and heavy right-handed Majorana neutrinos, we obtain expressions for the transition probability densities between two flavor neutrinos in the cases of lefthanded and right-handed neutrinos. We obtain these expressions in the context of an approach developed in the canonical formalism of Quantum Field Theory for neutrinos which are considered as superpositions of mass-eigenstate plane waves with specific momenta. The expressions obtained for the left-handed neutrino case after the ultra-relativistic limit is taking lead to the standard probability densities which describe light neutrino oscillations. For the right-handed neutrino case, the expressions describing heavy neutrino oscillations in the non-relativistic limit are different respect to the ones of the standard neutrino oscillations. However, the right-handed neutrino oscillations are phenomenologically restricted as is shown when the propagation of heavy neutrinos is considered as superpositions of mass-eigenstate wave packets. Neutrino physics is a very active area of research which involves some of the most intriguing problems in particle physics. The nature of neutrinos and the origin of the small mass of neutrinos are two examples of these kinds of problems. Since neutrinos are electrically neutral, the nature of these elementary particles can be Majorana or Dirac fermions. The first possibility, i.e. neutrinos being Majorana fermions was introduced by Etore Majorana  when he suggested that massive neutral fermions with specific momenta have associated only two helicity states implying that neutrinos and anti-neutrinos are the same particles. The second possibility implies that Dirac neutrinos are described by four-component spinorial fields which are different from spinorial fields describing antineutrinos. In this work, we will consider neutrinos as Majorana fermions which is favored by simplicity because they have only two degrees of freedom [2,3]. Direct and indirect experimental evidences show that neutrinos are massive fermions with masses smaller than 1 eV . The most accepted way to generate neutrino masses is by mean of the seesaw mechanism . Mass for neutrinos is a necessary ingredient to understand the oscillations between neutrino flavor states which have been observed experimentally . Neutrino oscillations are originated by the interference between mass states whose mixing generates flavor states. This phenomenon means that a neutrino created in a weak interaction process with a specific flavor can be detected with a different flavor. Neutrino oscillations were first described by Pontecorvo  as an extension for the leptonic sector of the strange oscillations observed in the neutral Kaon system. Neutrino oscillations can be described in context of Quantum Mechanics [7-11] as an application of the two level system . Description of neutrino oscillations in the context of Quantum Field Theory (QFT) is a very well studied topic [13-20]. In the literature it is possible to find two kinds of QFT models describing neutrino oscillations: intermediate models and external models . 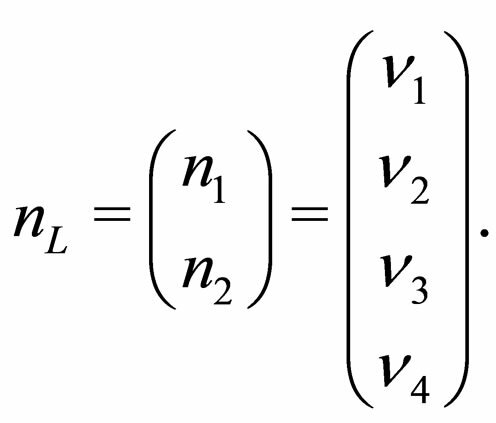 In the framework of intermediate models Sassaroli developed a model based in an interacting Lagrangian density which includes the coupling between two flavor fields [21-23]. This model was framed by Beuthe as a hybrid model owing to it goes half-a-way to QFT . Sassaroli model was first developed for a coupled system of two Dirac equations [21, 22] and then it was extended for a coupled system of two Majorana ones . The probability amplitude of transition between two neutrino flavor states for these two systems [21-23] was obtained starting from flavor states which are used on the standard treatment of neutrino oscillations. The standard definition of flavor states can originate some possible limitations in the description of neutrino oscillations as was observed by Giunti et al. . Specifically, in reference  it was shown that flavor states can define an approximate Fock space of weak states in the following two cases: 1) In the extremely relativistic limit, i.e. 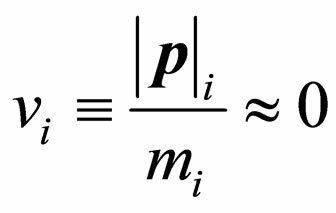 if neutrino momentum is much larger than the maximum mass eigenvalue of a neutrino mass state; 2) for almost degenerated neutrino mass eigenvalues, i.e. if the differences between neutrino mass eigenvalues are much smaller than the neutrino momentum. The first case leads to the standard definition of flavor states. The second case has associated a real mixing matrix which is restricted to a specific interaction process. Additionally these authors have proposed that oscillations can be described appropriately for ultra-relativistic and non-relativistic neutrinos by defining appropriate flavor states which are superpositions of mass states weighted by their transitions amplitudes in the process under consideration . By considering the limitations mentioned in the last paragraph it was set down by Beuthe in  that Sassaroli hybrid model can only be applied consistently if lepton flavor wave functions are considered as observable and the ultra-relativistic limit is taken into account. On the other hand, the Sassaroli model describing Majorana neutrino oscillations [21,22] was developed without considering the four-momentum conservation for neutrinos which implies the existence of a specific momentum for every neutrino mass state. The main goal of this work is to study neutrino oscillations in vacuum between two flavor states considering neutrinos as Majorana fermions and to obtain the probability densities of transition for left-handed neutrinos (ultra-relativistic limit) and for right-handed neutrinos (non-relativistic limit). This work is developed in the context of a type I seesaw scenario which leads to get light left-handed and heavy right-handed Majorana neutrinos. In this context, we perform an extension of the model developed by Sassaroli in which the Majorana neutrino oscillations are obtained for the case of flavor states constructed as superpositions of mass states [21, 22]. Our extension consists in considering neutrino mass states as plane waves with specific momenta. The model that we consider in this work, which is developed in the canonical formalism of Quantum Field Theory, has the advantage that in the same theoretical treatment it is possible to study neutrino oscillations for light neutrinos and for heavy neutrinos. To do this, we first perform the canonical quantization procedure for Majorana neutrino fields of definite masses and then we write the neutrino flavor states as superpositions of mass states using quantum field operators. Next we calculate the probability amplitude of transition between two different neutrino flavor states for the light and heavy neutrino cases and we establish normalization and boundary conditions for the probability density. These probability densities for the left-handed neutrino case after the ultra-relativistic limit is taking lead to the standard probability densities which describe light neutrino oscillations. For the righthanded neutrino case, the expressions describing heavy neutrino oscillations in the non-relativistic limit are different respect to the ones of the standard neutrino oscillations. However, the right-handed neutrino oscillations are phenomenologically restricted as is shown when the propagation of heavy neutrinos is considered as superpositions of mass-eigenstate wave packets . The oscillations do not take place in this case because the coherence is not preserved: in other words, the oscillation length is comparable or larger than the coherence length of the neutrino system . The content of this work has been organized as follows: In Section 2, after establishing the Majorana condition, we obtain and solve the two-component Majorana equation for a free fermion; in Section 3, we consider a type I seesaw scenario which leads to get light left-handed neutrinos and heavy right-handed neutrinos; in Section 4, we obtain the Majorana neutrino fields with definite masses, then we carry out the canonical quantization procedure of these Majorana neutrino fields and we obtain relation between neutrino flavor states and neutrino mass states using operator fields; in Section 5, we determine the probability density of transition between two left-handed neutrino flavor states, additionally we establish normalization and boundary conditions and then we obtain left-handed neutrino oscillations for ultra-relativistic light neutrinos; in Section 6, we study the right-handed neutrino oscillations for non-relativistic heavy neutrinos; finally, in Section 7 we present some conclusions. In 1937 Ettore Majorana proposed a symmetric theory for electron and positron through a generalization of a variational principle for fields which obey Fermi-Dirac statistics . When this theory is applied to a neutral fermion which has a specific momentum then there exist only two helicity states. The Majorana theory implies that it does not exist antiparticles associated to these fermions, i.e. Majorana fermions are their own antiparticles. For convenience we study the equation of motion for neutral fermions but using the two-component theory developed by Case in . We observe that the chiral components of the fermionic field under charge conjugation , and the chiral components of the conjugated field , are related by , showing how the charge-conjugation operation changes the chirality of fields. which is known as the Majorana equation. 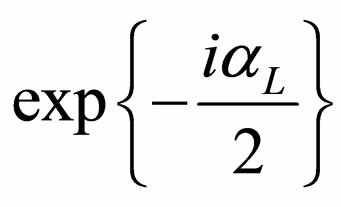 This equation in which a particle is indistinguishable from its antiparticle has two components because the matrixes are projected on the chiral subspaces of two components. The matrixes are called Majorana matrixes and these should not be confused with the Dirac matrixes written in Majorana representation. Now we are interested in knowing the kind of relations that Majorana matrixes obey. So we first apply definition (11) into Equation (9) and we obtain , with . Then we apply into (12) and we have or its equivalent where we have used . Accordingly, Majorana matrixes should satisfy relations and then the field is satisfying the Klein-Gordon equation given by . 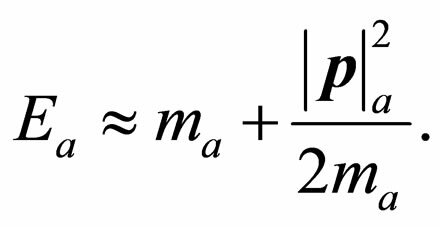 This equation is the well known two-component Majorana equation [27,28], which will be solved in next subsection. with . We observe that Majorana field can be written as superposition of positive and negative energy states. The expansion in a Fourier series for the Majorana field operator is [24-26] (see Equation (21)). Then we can identify as the annihilation operator and as the creation operator of a Majorana fermion with momentum and helicity h.
where is a diagonal matrix which is defined by , where . The masses of the neutrino fields of definite masses are , with . and the neutrino fields of definite masses and have associate respectively the heavy masses and , where , are Yukawa couplings, is the electron mass and is the muon mass. where and are the flavor doublets of non-definite masses given by (24), while and are non-diagonal matrixes, it will be possible to obtain the Dirac-Majorana mass term (31) after the diagonalization of the matrixes and . In the next we suppose that the Majorana fields and describe the active light left-handed neutrinos that are produced and detected in the laboratory, while the Majorana fields and describe the sterile heavy right-handed neutrinos which there exist in a type I seesaw scenario. where we have considered that this matrix is hermitic, i.e. . So the values and are the quadratic roots of the eigenvalues of . 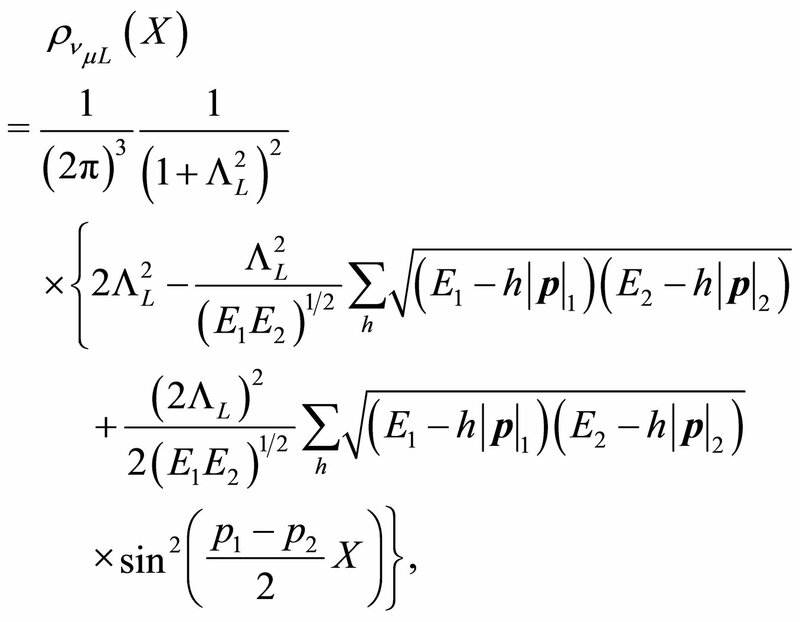 This last result implies that these eigenvalues can be multiplied by a complex phase. We observe that the phase was eliminated from the last equation of motion but not from the unitarian matrix . So it proves that this phase is physical and should be involved in some processes. This phase could play an important role in the case of doublet beta decay process. where represent neutrino mass states. Each one of the definite-mass neutrino field operators obeys a Majorana equation. It is possible to expand each one of these field operators on a plane-wave basis set as was shown in (21) (see Equation (53)). where is the energy of the neutrino field with definite mass which is tagged by . Thus we have found a relation between neutrino flavor states and neutrino mass states using operator fields. As flavor states are physical states since they could be detected in interaction processes, flavor states are non-stationary. So their temporal evolution gives the probability of transition between them. Therefore, this probability describes Majorana neutrino oscillations studied as follows. Now we will focuss our interest in the description of lefthanded neutrino oscillations in vacuum from a cinematical point of view. For this reason we will not consider in detail the weak interaction processes involved in the creation and detection of left-handed neutrinos. However, these processes are manifested when boundary conditions are imposed in the probability amplitude of transition between two neutrino flavor states. We suppose that a neutrino with a specific flavor is created in a point of space-time as a result of a certain weak interaction process. We will determine the probability amplitude to find out the neutrino with another flavor in a different point of space-time . We assume that neutrinos are created under the same production process with different values of energy and momentum. These dynamical quantities are related among themselves under the specific production process. where the sum over helicities is taken over the neutrino mass states. This sum over helicities must be considered to describe appropriately the initial left-handed neutrino flavor state because the helicity is a property which is not directly measured in the experiments. The manner as the electronic left-handed neutrino state has been built in the production point is in agreement with the experimental fact that left-handed neutrinos are ultra-relativistic. where we have included thephase factor . and we observe that the probability density (63) can be different from zero, i.e. it can exist a muonic neutrino in the production point which disagrees with the initial conditions. The origin of this problem is related to the weak state definition (55) that we have used before. As it was previously mentioned into the introduction, the flavor definition (55) is not complectly consistent and it is necessary to define appropriate flavor states . This relation implies that the propagation distance and the propagation time for neutrinos are approximately equal because in the ultra-relativistic limit a neutrino mass state has a mass too small and its velocity of propagation is approximately equal to speed velocity , i.e. . However, a most precise relation between L and T must be described by an expression that should include explicitly the velocities of the two neutrino mass states involved in such a way that this expression for the ultra-relativistic limit should lead to (71). where we have used and . Under this approximation it is clear that these probability density does not depend from the production process due to that there is no dependence from . Thus these probability densities satisfy the boundary conditions that we have imposed. which are the standard probability densities for lefthanded neutrino oscillations in the two flavor case . where the sum over helicities is taken over the neutrino mass states. and we observe that the probability density (85) can be different from zero. where is given by (52). 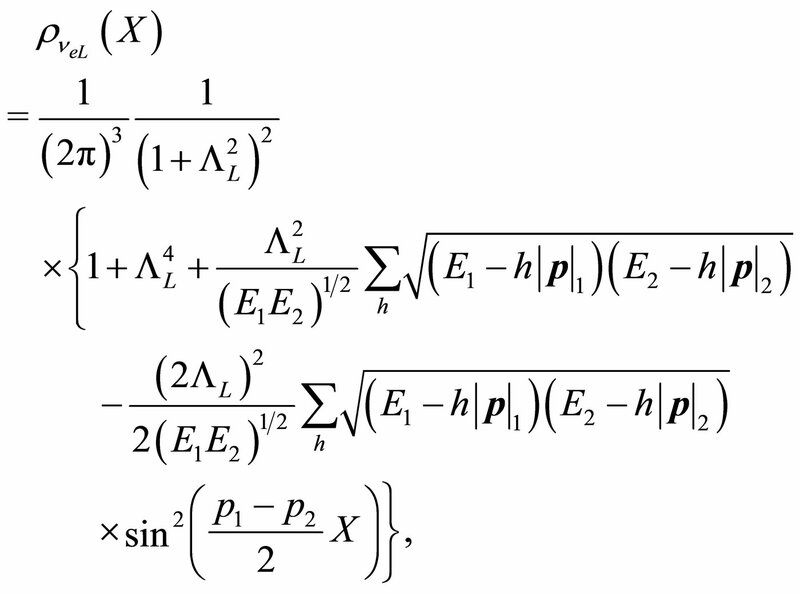 The last probability densities satisfy the normalization and boundary conditions. Unlikely to the case of left-handed neutrino oscillations described by (60) and (61), the argument of the periodic function for the right-handed neutrino oscillations depends on the linear mass difference and the propagation time T. The description of heavy right-handed neutrino oscillations that we present here could be of interest in cosmological problems . As it has been proposed in the literature, heavy-heavy neutrino oscillations could be responsible for the baryon asymmetry of the universe through a leptogenesis mechanism [32-34]. But it should be noted that if the propagation of heavy right-handed neutrinos is considered as superpositions of mass-eigenstate wave packets , then the oscillations do not take place because the coherence is not preserved: in other words, the oscillation length is comparable or larger than the coherence length of the right-handed neutrino system . In this work we have studied neutrino oscillations in vacuum between two flavor states considering neutrinos as Majorana fermions. We have performed this study for the case of flavor states constructed as superpositions of mass states extending the Sassaroli model which describes Majorana neutrino oscillations by considering neutrino mass states as plane waves with specific momenta. In the context of a type I seesaw scenario which leads to get light left-handed and heavy right-handed Majorana neutrinos, the main contribution of this work has been to obtain in a same formalism the probability densities which describe the oscillations for light lefthanded neutrinos (ultrarelativistic limit) and for heavy right-handed neutrinos (non-relativistic limit). In this work we have performed the canonical quantization procedure for Majorana neutrino fields of definite masses and then we have written the neutrino flavor states as superpositions of mass states using quantum field operators. We have calculated the probability amplitude of transition between two different neutrino flavor states for the light and heavy neutrino cases and we have established normalization and boundary conditions for the probability density. After the ultra-relativistic limit was taken in the probability densities for the left-handed neutrino case lead to the standard probability densities which describe light neutrino oscillations. For the right-handed neutrino case, the expressions describing heavy neutrino oscillations in the non-relativistic limit were different respect to the ones of the standard neutrino oscillations. However, the right-handed neutrino oscillations are phenomenologically restricted as is shown when the propagation of heavy neutrinos is considered as superpositions of mass-eigenstate wave packets . This work establish a framework to study Majorana neutrino oscillations for the case where mass states are described by Gaussian wave packets as will be presented in a forthcoming work . The wave packet treatment is necessary owing to the neutrinos are produced in weak interaction processes without a specific momenta. Additionally the plane wave treatment can not describe production and detection localized processes as occur in neutrino oscillations. C. J. Quimbay thanks DIB by the financial support received through the research project “Propiedades electromagnéticas y de oscilación de neutrinos de Majorana y de Dirac”. C. J. Quimbay thanks also Vicerrectoría de Investigaciones of Universidad Nacional de Colombia by the financial support received through the research grant “Teoría de Campos Cuánticos aplicada a sistemas de la Física de Partículas, de la Física de la Materia Condensada y a la descripción de propiedades del grafeno”. E. Majorana, “Teoria simmetrica dell’elettrone e del positrone,” Nuovo Cimento, Vol. 14, 1937, p. 171. P. B. Pal and R. N. Mohapatra, “Masive neutrinos in physics and astrophysics,” World Scientific Publishing, Singapore, 2004. C. Giunti and Ch. Kim, “Fundamental of neutrinos in physics and astrophysics,” Oxford University Press, New York, 2007. K. Nakamura, et al., “Particle Data Group, the review of particle physics,” Journal of Physics G, Vol. 37, 2010, Article ID: 075021. B. Pontecorvo, “Neutrino experiments and the problem of conservation of leptonic charge,” Soviet Physics— JETP, Vol. 26, 1968, p. 984. M. Zralec, “From kaons to neutrinos: Quantum mechanics of particle oscillations,” Acta Physica Polonica B, Vol. 29, 1998, pp. 3925-3956. Ch. W. Kim and A. Pevsner, “Neutrinos in physics and astrophysics,” Harwood Academic Publishers, Basel, 1993. Y. F. Pérez and C. J. Quimbay, “Temporal dispersion effects of Majorana’s wave packets for neutrino oscillations in vacuum,” reprinted in preparation.